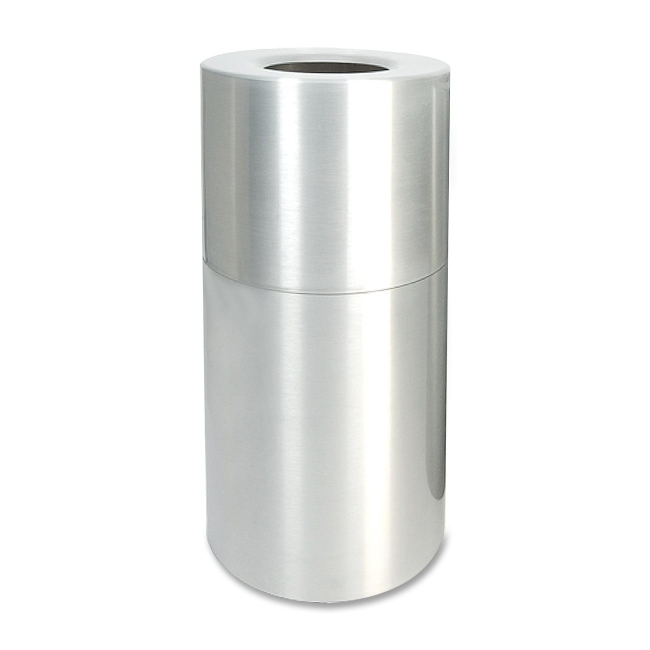 Weather-resistant waste receptacle is ideal for high-traffic areas. The open-mouth design allows easy trash disposal. Classic cylinder shape blends easily into your location's decor. Heavy-gauge, seamless aluminum construction is fireproof and leakproof. Two-piece design permits removal of the top section to insert a poly bag and remove trash from a leakproof, rigid plastic liner. Waste receptacle offers a 35 gallon capacity.